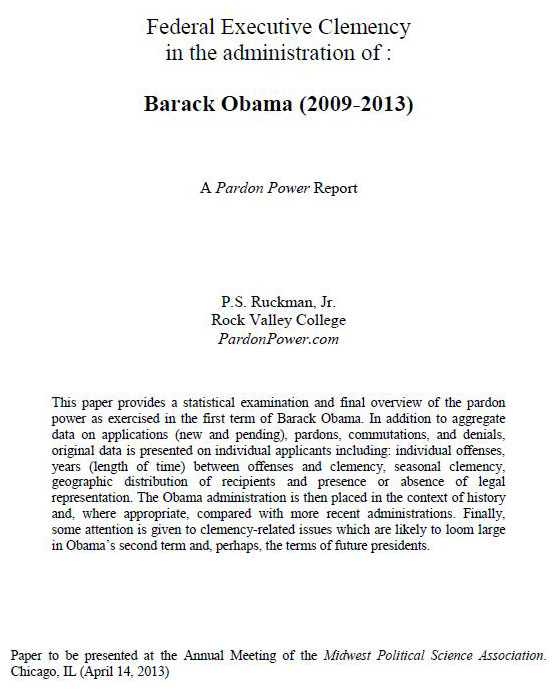 This paper provides a statistical examination and final overview of the pardon power as exercised in the first term of Barack Obama. 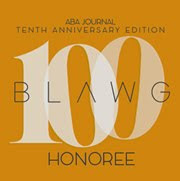 In addition to aggregate data on applications (new and pending), pardons, commutations, and denials, original data is presented on individual applicants including: individual offenses, years (length of time) between offenses and clemency, seasonal clemency, geographic distribution of recipients and presence or absence of legal representation. The Obama administration is then placed in the context of history and, where appropriate, compared with more recent administrations. Finally, some attention is given to clemency-related issues which are likely to loom large in Obama’s second term and, perhaps, the terms of future presidents. Download the paper from SSRN here. Or, if you are not an SSRN member, you can download the .pdf file here.